Nelson Ireson January 22, 2013 Comment Now! 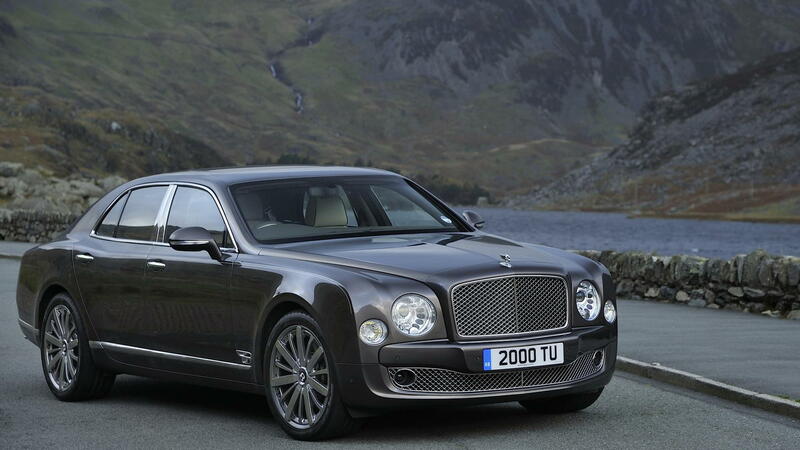 If the Bentley Mulsanne wasn't already as fantastically outfitted as you'd like, you might want to check your priorities. Putting all but a custom Gulfstream to shame in terms of personal transportation, the Mulsanne is, aside from the Rolls-Royce Phantom, the ultimate in wheeled luxury. But it has just been enhanced. That's right: Bentley decided to one-up itself, with a new set of equipment packages that take the Mulsanne past the mountain top well into sub-orbital space. So what's been added? A "Comfort Specification" that includes comfort headrests, footrests, and duck down-filled loose cushions; and an "Entertainment Specification" that includes picnic tables designed for iPads to be used with wireless keyboards, and a WiFi hotspot. 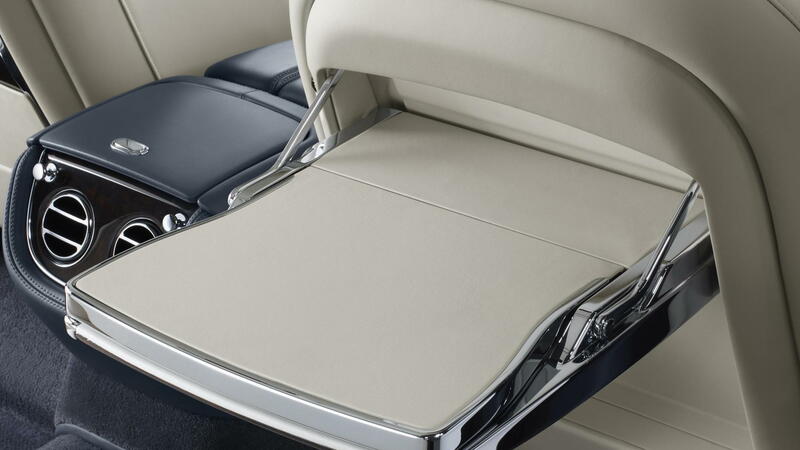 The Comfort Specification's headrests offer softer material, and a new design that allows them to span a wider range of placement than normal headrests, while still stowing neatly to avoid any creasing of the delicate hide that covers them. The footrests are trimmed in flat-cut cabin carpet, trimmed with the same hide as used for the seats, and emblazoned with Bentley's Winged Emblem--though bespoke stitching or piping can be chosen. 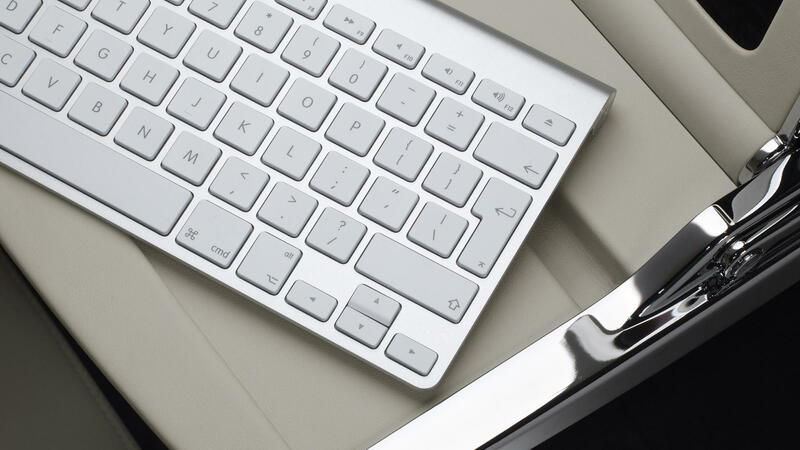 The Entertainment Specification package's iPad tables are made of solid metal and fine veneer, hide-trimmed with a smooth surface for writing, with a stowage space for the iPad and keyboard inside the table. The iPad can even be charged from the table while the ignition is on. Twin eight-inch LCD headrest screens mated to a 20 GB hard drive and DVD player piped into the Naim for Bentley audio system (conveniently equipped with a pair of Bluetooth headphones and a remote control) are also included. 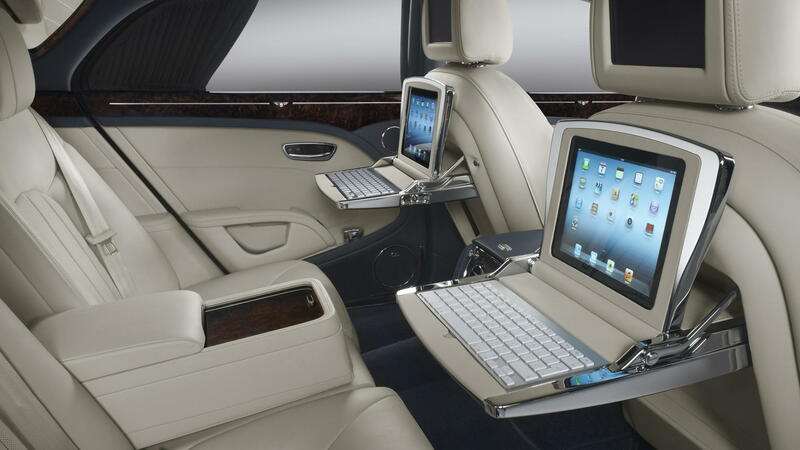 The WiFi router in the Mulsanne can connect up to eight devices simultaneously. 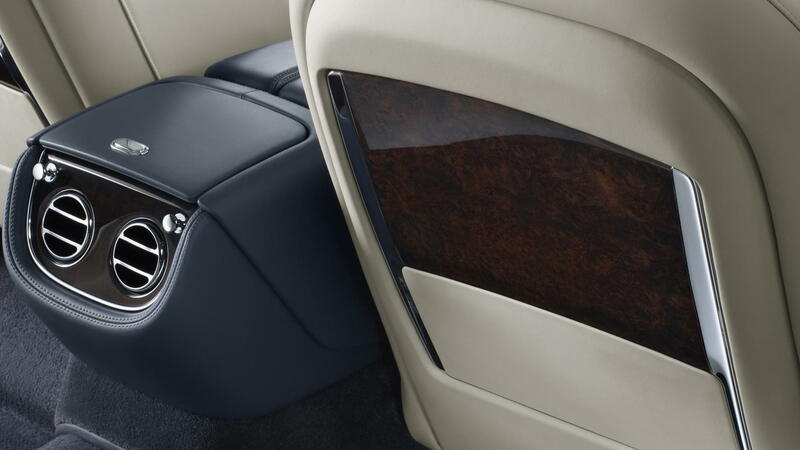 Other new options for the Mulsanne include available privacy curtains, redesigned door armrests with a storage compartment, new bespoke fitted luggage, and a trio of paint options. These new specifications add to the Mulliner Driving Specification already offered, as well as Bentley's essentially limitless customization capabilities. They'll be on display at the 2013 Geneva Motor Show, and we'll be on hand to bring you all the live images and details, so stay tuned.